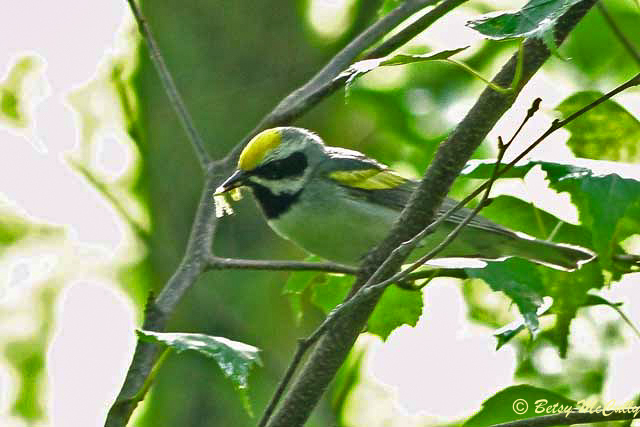 Golden-winged Warbler (Vermivora chrysoptera). Open woodlands. Breeder upstate. This individual at D&H Canal, Wurtsboro, NY. Red watchlist.